Thank you for supporting Jose Flores' 26.2 mile journey through NYC and the Ken Pribil Jr. Foundation's fight against sarcoma cancer! Inspiring runner and fundraiser, José Flores, completed 26.2 miles at the ING NYC Marathon on November 3, 2013 and met and exceeded his goal of fundraising $1,000 to the Ken Pribil Jr. Foundation! Thank you for your generous donations: Claudia Baricevic, Steven Alaimo, Mark Gray, Theresa Baerga-Quilea, Carol Muro, Chris Canon, Amarilys Medina, Kathleen LaVache, Christyn Parrinello, Veronica Alache, Sabine Garrido, Gina Alaimo, Maria Alaimo, Erin Healey, Frederic Smilow, Valina Slater, Antonio Valle, Anthony, Angela, Nicholas, Anthony & Ava Trupia, Faye Ivey, George Ron, Gary Estes, Jon & Barbara McCormack! Running to Remember and Support a Cause! 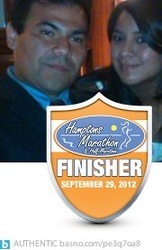 Three marathons down, and Jose Flores is still an inspiration to all who meet him- upbeat, philanthropic and optimistic. Despite having lost his mother, Argie, to cancer just two years ago, Jose approached the foundation in efforts to run to remember Argie and Kenny and fundraise to benefit research to better the lives of others struggling with cancer. Not not only met his fundraising goal of $1,000, but exceeded it! Jose Flores, who was also featured on the ING New York Marathon this year for his unique story, finished the 26.2 miles through the 5 boroughs with a song in his heart and smile on his face, in remembrance of those lost. 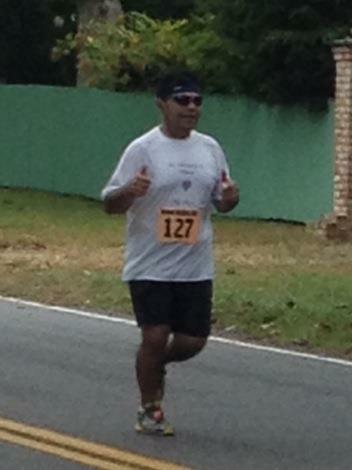 Jose even crossed the finish line with two thumbs up! Call to Action: You can still donate to this great cause! If you didn't get a chance to sponsor my miles before the November 3, 2013 race, you can still donate to the Ken Pribil Jr. Foundation's Sarcoma Cancer Grant for sarcoma cancer research in any amount that you wish on Jose's behalf. 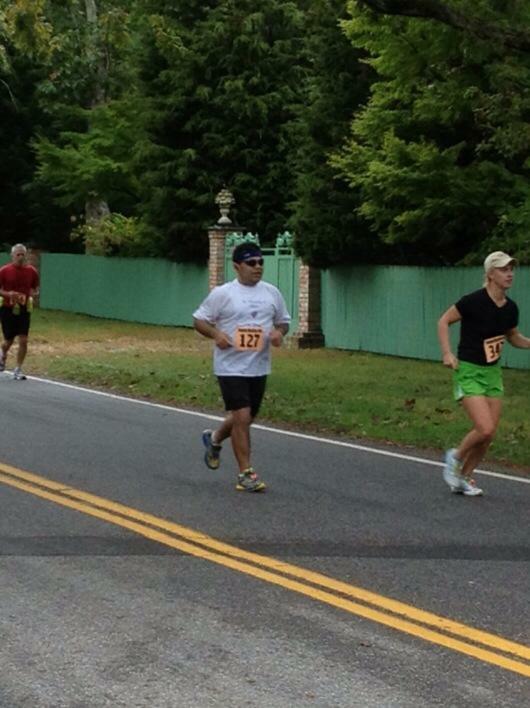 Your donation will go towards funding research that may diagnose sarcoma cancer cases earlier! Let's help to save some lives! 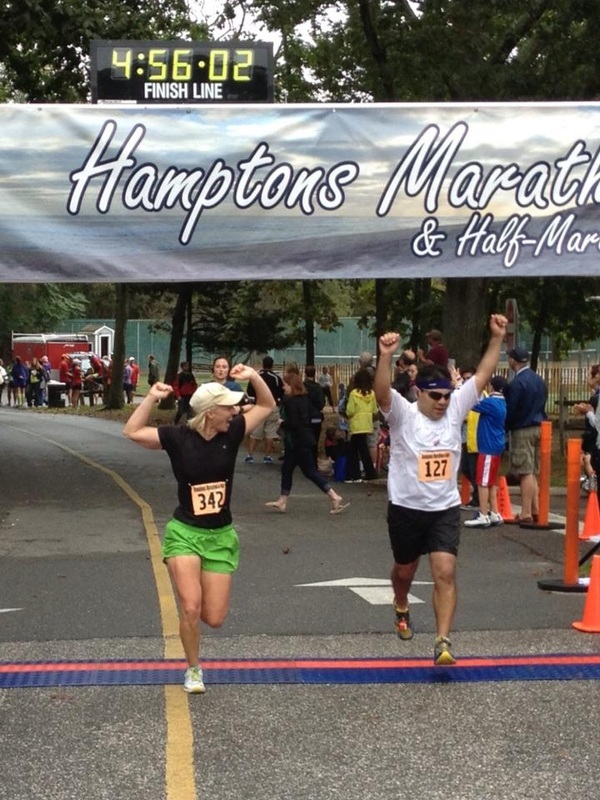 These shots were taken at the 2012 Hamptons Marathon. "Thumbs up" throughout the journey- pure joy and adrenaline! 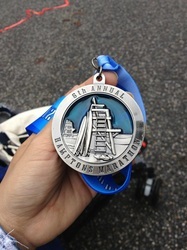 First time marathon finisher! 4:56:02! Jose couldn't have done it without the support of family and friends! Thank YOU! Thank you for sponsoring my miles and for your continued support! Thank you, always, to Jose's wonderful family and friends.